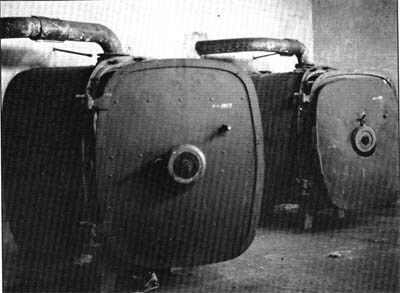 View of the dirty, north side of the three disinfection autoclaves supplied by a München manufacturer and numbered from right to left 1, 2, 3. They are built into the wall separating the clean and dirty sides and have a door on each side. Autoclave 2 seen from the dirty side. In this photo we see through the autoclave to the other side. Dirty clothes were put on hangers on a trolley which was pulled towards the north and put on two short rails. 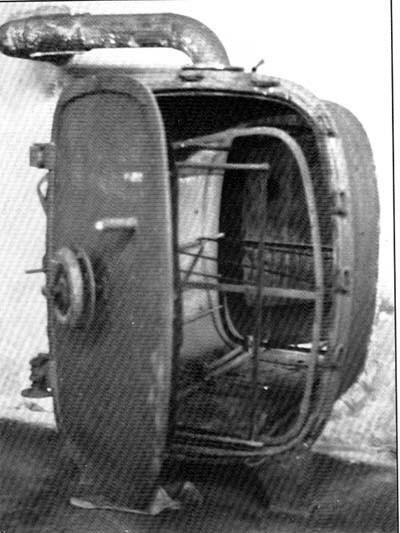 Once the action of the steam was completed, the operator on the clean side opened the door pulled out the trolley and removed the “sterilized” clothes. 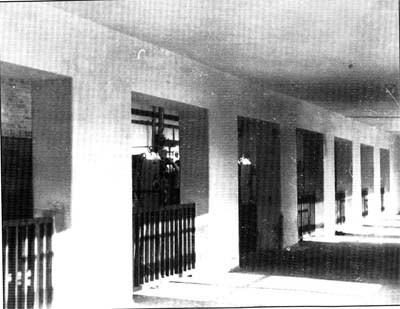 The clean side corridor, to the south, linking the drying room with the waiting and dressing room. 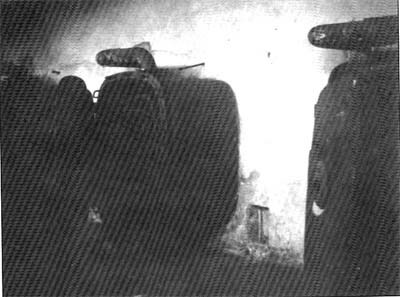 On the left, behind the pillars and separating railings, it is possible to see the door of one of the Topf disinfestation chambers with its peephole and autoclaves 1 and 3, south side.